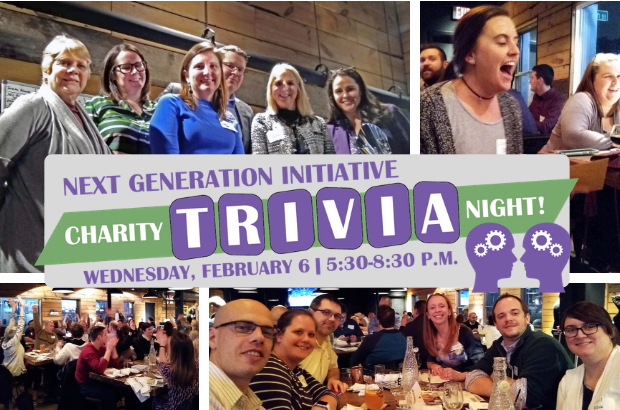 FirstMidwest Bank and guests, playing under the team name Alternative Facts, won the trophy during our NGI Charity Trivia Night on February 6 at Empire in Naperville. The team, as part of their victory, selected Little Friends as the recipient of a $2,000 grant. The 30 teams were ready for heated trivia action after the event was postponed from January 30 due to extreme cold. Alternative Facts also earned a $200 food and beverage credit courtesy of Empire and will have their team name engraved on the NGI Charity Trivia Night travel trophy. Perfect Puzzlers from Turning Pointe Autism Foundation came in second. The team won Empire swag and a gift certificate from Morton's. Along with the grant to Little Friends, proceeds from the event will support the Foundation's Next Generation Initiative Fund. A Split-the-Pot raffle earned an amazing $1,250, with Don Ortegel taking half home. Attendees were encouraged to join NGI, and as extra incentive for signing up that night, new members' names were added to a raffle. Arica LeFavour won a $100 Empire gift card. Welcome to all our new members, and thanks to BKD CPAs and Advisors for sponsoring the event. NGI seeks community leaders ready to engage in philanthropic activities and meet others interested in helping raise the quality of life for the residents of the DuPage community. 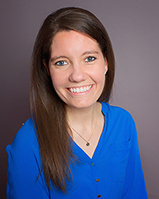 Join NGI here, by e-mailing Kaitlyn Balsewicz, development officer, at kait@dupagefoundation.org or calling 630.598.5292.